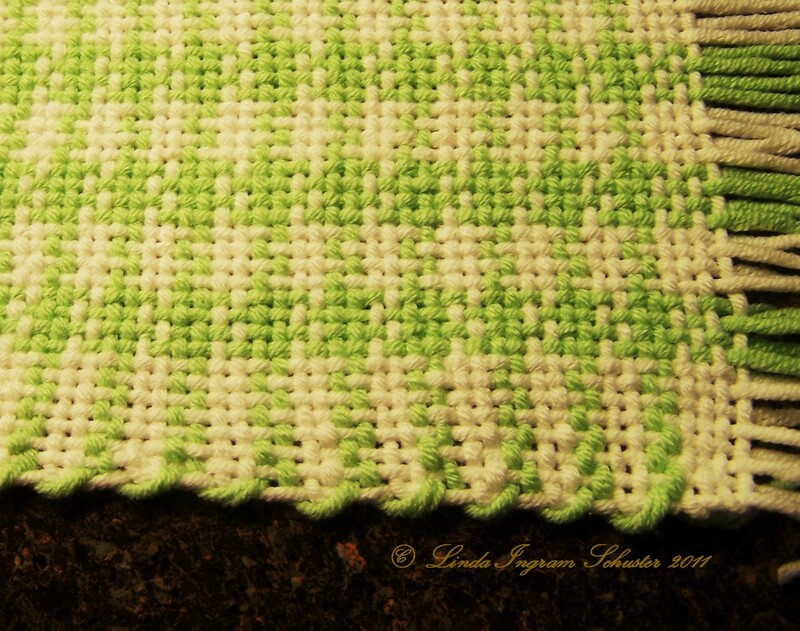 Posted on October 16, 2011	by Linda S.
I really like to weave on my Kromski Rigid Heddle Loom. 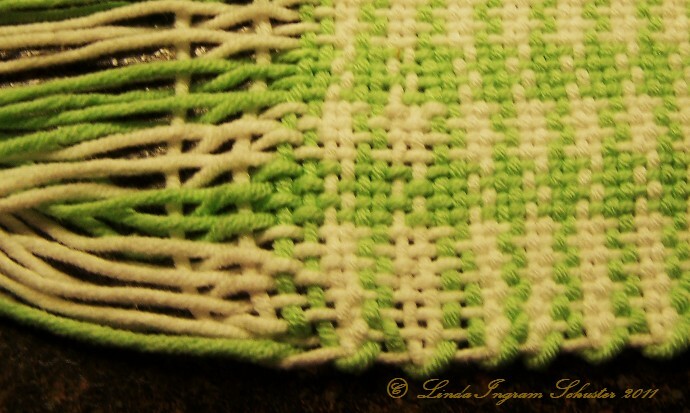 Since the move to the new house there has been little time.. so when I did get to sit down to it I was really frustrated with the edges being very loose and the center being the usual terrific weave. There was no way I could get the tension to hold evenly across the 6″ scarf. Finally in total frustration I cut the 6″x 11″ piece that I had been working on off the loom and removed the yarn off the back beam. Now I could see what was happening! Flash back to last April. Just before the move. I was warping for a project and suddenly one of the braided strings on the back beam broke loose where it was melted together. I cut barely an eighth of an inch off and re-melted it together. Surely this tiny bit of difference in the length of the loop wouldn’t make ANY difference… HAH! 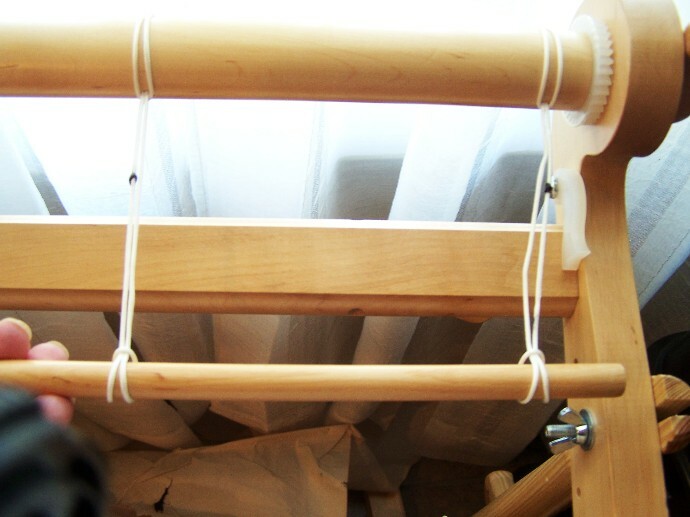 This particular loop was in the center of my back beam… When I held the back dowel straight out and pulled to see the tension it was obvious that the center was short and would leave loose loops on the ends. This is what was making the sides of my scarf droop. If you notice the end of the weaving in the bottom right photo you can see that the looseness just got worse the further along I went. I removed all of the braided loops, re-cut them to the same size and melted the ends back together. Now I have completely even tension all the way across my loom. This entry was posted in Handcraft, Handwork, Historical Textile, Weaving and tagged craft, crafting, Crafts, warping, Weaving. Bookmark the permalink.